Today I thought I would show you the manicure design that I have been loving this last week. It's simple and easy and there's so many colour combos that you can do that it's great for any season and any occassion. 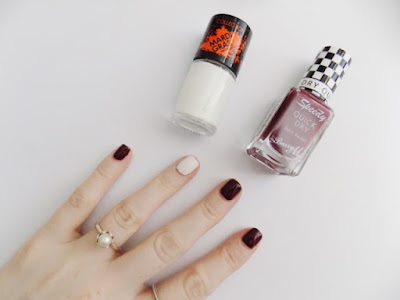 First start by painting your accent nail white (ring finger) and the rest whatever colour you like, I used Barry M Sprint Finish as it's the perfect shade for this time of year. Love the deep burgundy shades. Make sure your nails are completely dry before you do this next step. 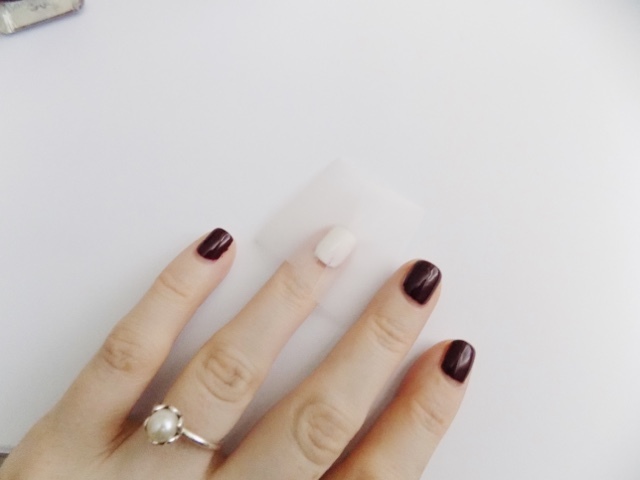 Apply some tape to reveal a triangle (or whatever shape you want) on your accent nails. Apply your deep burgundy shade (or whatever colour you choose) in a fairly thick layer so you only have to do one layer. 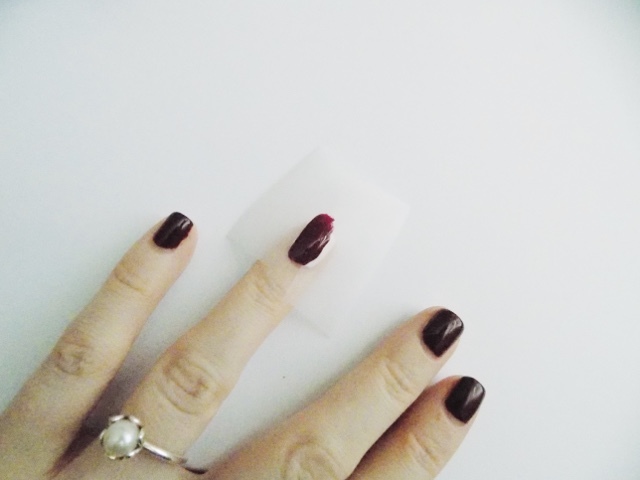 When you've applied it, remove the tape before the polish dries. 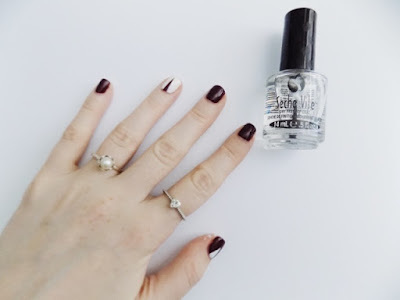 Once the polish is completely dry, apply your top coat, as always mine is the Seche Vite Fast Drying Top Coat as it's just the best one. If you apply this whilst the policy is still wet, it will spread and bleed into the white and then it doesn't look perfect. I also applied did this design on my thumb but I kept the nail the deep red and the triangle white. I love how this looks, the photo I saw which gave me the inspiration for this design was using black and white but I'm not a massive fan if black nails although I may still give it a try. I love that this is a design you can use all year round and all you need to do is switch the colours. There are so many colour combinations and it's such a simple and easy design. I am keen to see it with a brighter red and maybe gold metallic or glitter polish to outline the triangle, ooh, may have to give that a try. I hope you like today's Monday Mani, I would love to see photos if you give this a go. What would your colour combo be for this design?